Lewis MacAdams, champion of the LA River and head of FoLAR, imitates one of the herons that lives along the river. 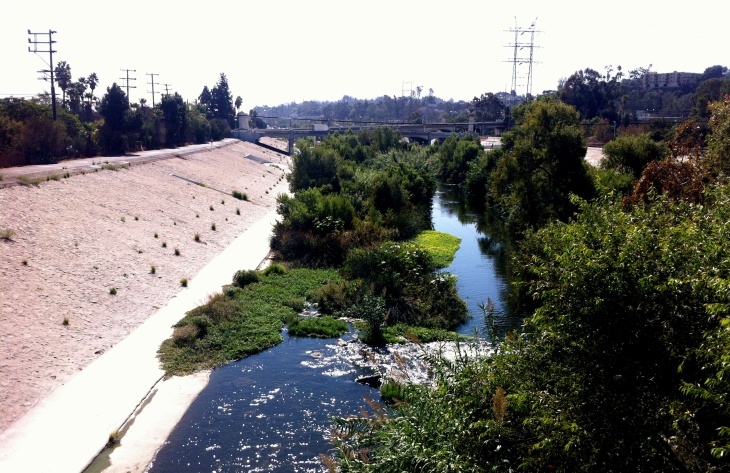 View upstream from the LA River's lone footbridge, downstream from Los Feliz Blvd. 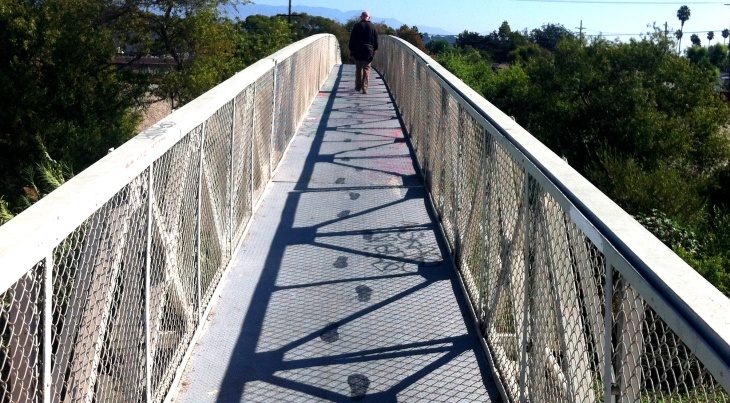 Friends of the LA River founder Lewis MacAdams, nearing 70, crosses the waterway on its only footbridge, and ponders how far the city has come since he arrived in the 1970s, when the river was a flood control channel and a punchline. 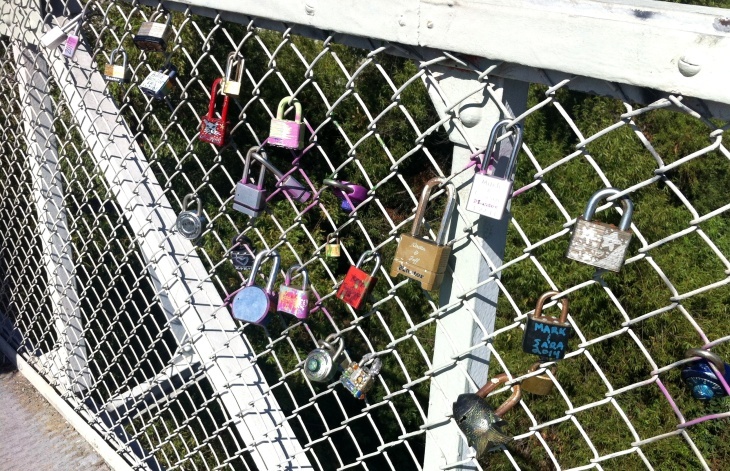 Families and lovers click locks onto the railing of the LA River footbridge, south of Los Feliz Blvd. 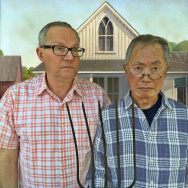 With no lock, John and Lewis did the next best thing. 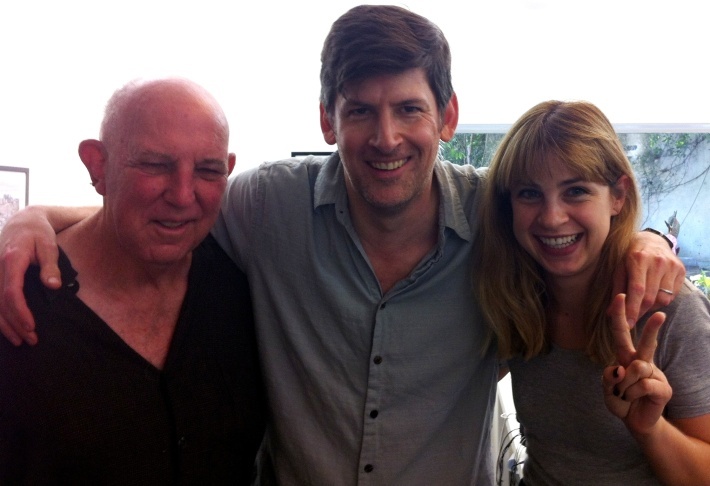 Rabe with Lewis MacAdams, founder and head of Friends of the LA River, and FoLAR's Ariel VanPelt. 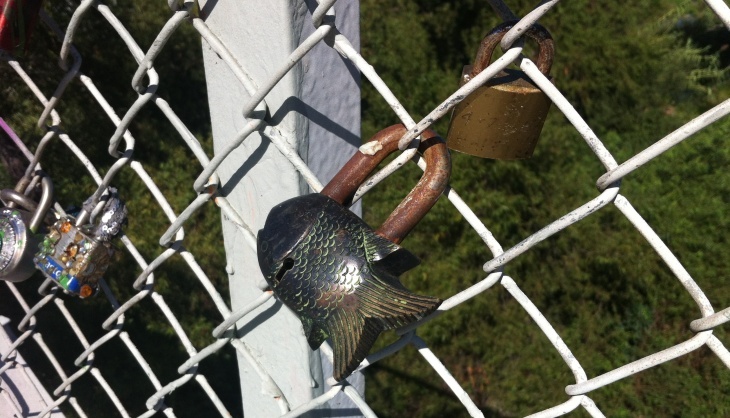 At Marsh Park in the Frogtown neighborhood, an example of investment in the LA River. 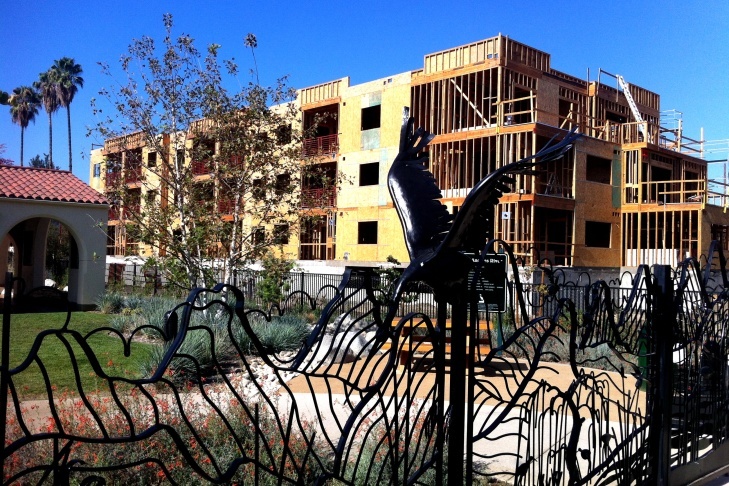 A condo building nears completion next to a multi-acre park that fronts the water. 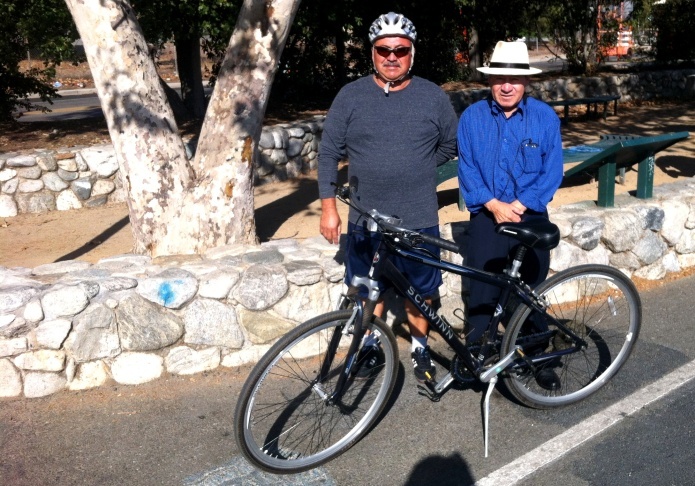 In Frogtown, friends Joaquin and Jose meet along the LA River bike path. 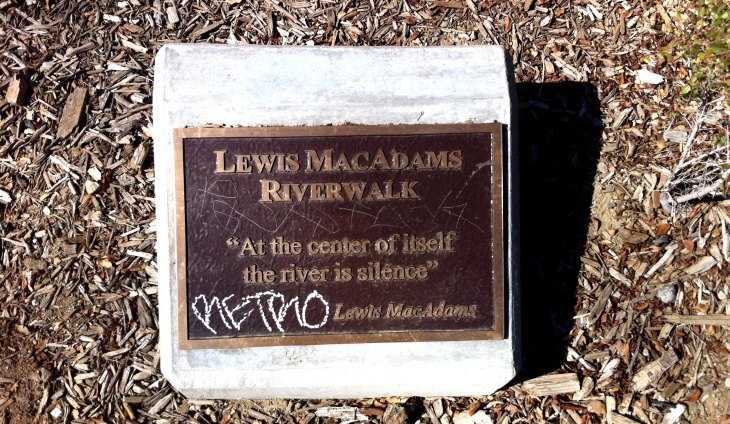 A plaque honoring FoLAR founder Lewis MacAdams at a park next to the LA River. 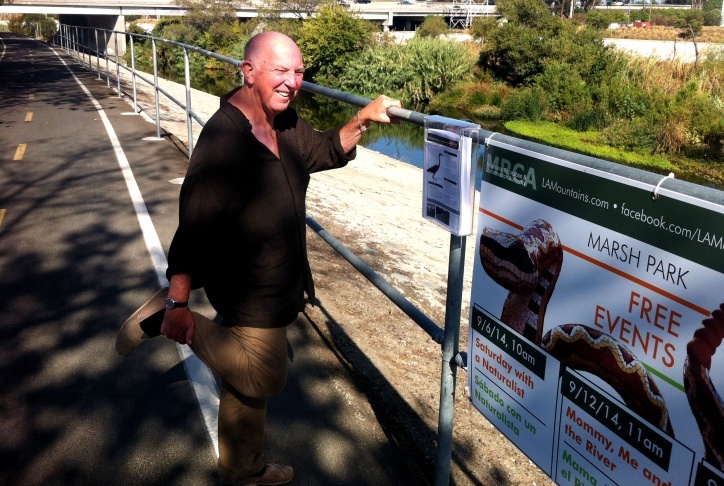 Lewis MacAdams takes Off-Ramp's John Rabe on a tour of the L.A. River as MacAdams nears his 70th birthday and a huge celebration of his accomplishments as founder of FoLAR, Friends of the Los Angeles River. 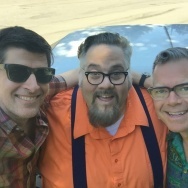 MacAdams "wanted to crawl under a rock," but instead agreed to a huge fundraiser party on October 12 -- the FoLAR Fandango -- IF they agreed to bring in Texas BBQ and Shiner Bock from his West Texas homeland. In the 1970s, when Lewis MacAdams came to Los Angeles, the L.A. River was a flood control channel and a punchline. 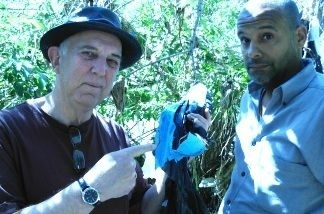 But he founded “Friends of the Los Angeles River,” which helped the river make a Hollywood-worthy comeback. Now, as MacAdams turns 70, we tour the river and see how far we’ve come. The poet and journalist remembers his first encounter with the river over thirty years ago, and the immediate connection he felt to it. Soon after, MacAdams and a friend "asked the river if [they] could speak for it in the human realm and it didn't say no." That was enough of an answer for MacAdams. He founded FoLAR and began what he calls a “40 year art work” to bring the river back to life. MacAdams’ first meeting with the Los Angeles County Department of Public Works – scheduled shortly after he stood in the path of a bulldozer clearing trees in the river – quickly turned into a yelling match. 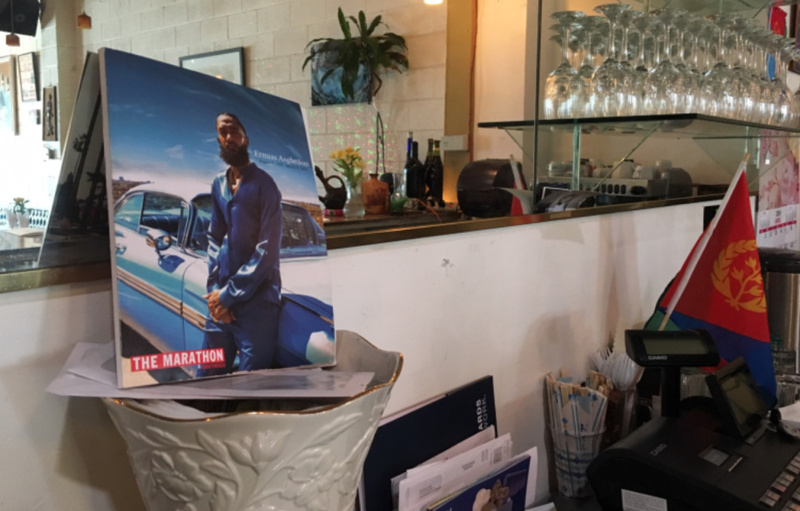 RELATED: Did you know Lewis MacAdams wrote the book, "The Birth of the Cool"? Since then, FoLAR has spent nearly three decades tirelessly cleaning the river and advocating for its restoration. 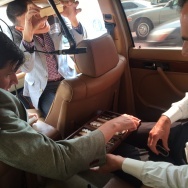 But MacAdams says that it never felt like work to him. One of the biggest challenges MacAdams and FoLAR have faced is getting Angelenos to think about the L.A. River as an actual river and not just a slab of concrete. With the U.S. Army Corps' recent endorsement of a $1 billion river restoration project, it seems like Los Angeles is finally listening.